Two of the most common concerns for iPhone owners are the duration of their battery life, and the usage of cellular data. There are many settings that can be adjusted to improve on either of these aspects of iPhone usage, but the Background App Refresh option has the potential to affect both. If you find that you are using too much cellular data each month, and that your battery is not lasting as long as you would like, then follow our tutorial below to learn how to turn off the Background App Refresh setting. If you find that the lack of refreshed content is negatively impacting your iPhone experience, you can always turn it back on later. 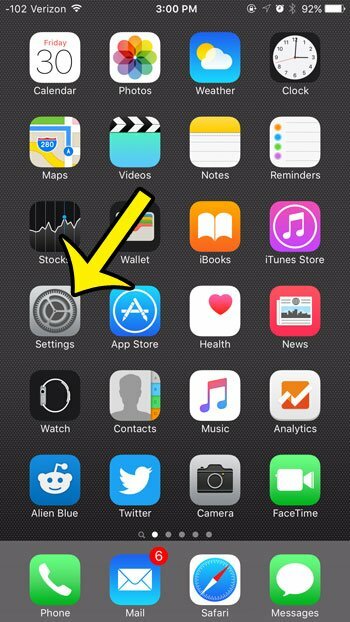 These steps are going to turn off Background App Refresh on your iPhone completely. 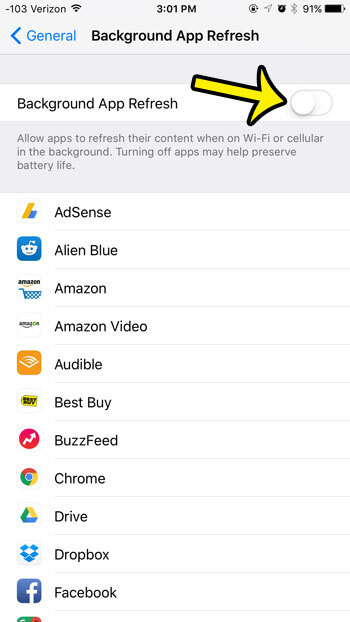 However, if you still wish to allow certain apps to refresh in the background, such as Twitter and Facebook, then you can elect to control the Background App Refresh setting for each individual app. 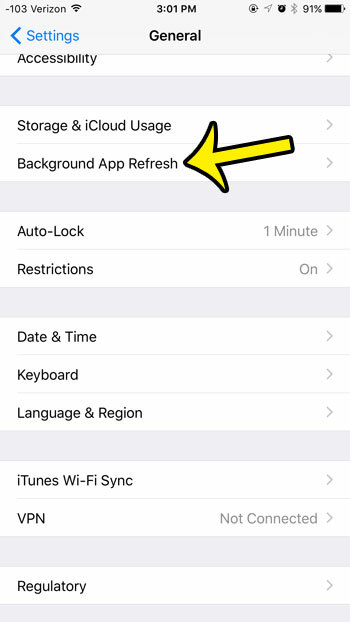 If you would prefer that option instead, then leave the Background App Refresh option turned on in step 4 below, but turn it off for each individual app that you do not want refreshing in the background. Scroll down and select the Background App Refresh option. Tap the button to the right of Background App Refresh to turn it off. It is turned off when there is no green shading around the button, and the button is in the left position. The setting is turned off in the picture below. As mentioned above, you can elect to turn off Background App Refresh for individual apps instead by leaving the Background App Refresh option turned on at the top of the screen, but turning off individual apps in the menu below. Would you prefer a little more accuracy when it comes to knowing how much of your battery life is left? 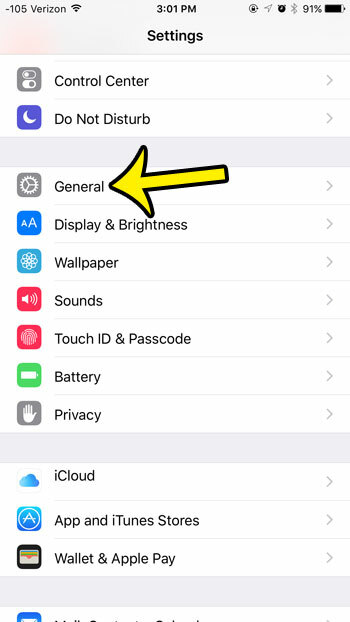 Learn how to show battery percentage as a number on your iPhone to improve upon the picture option that is used by default.